Happy September! 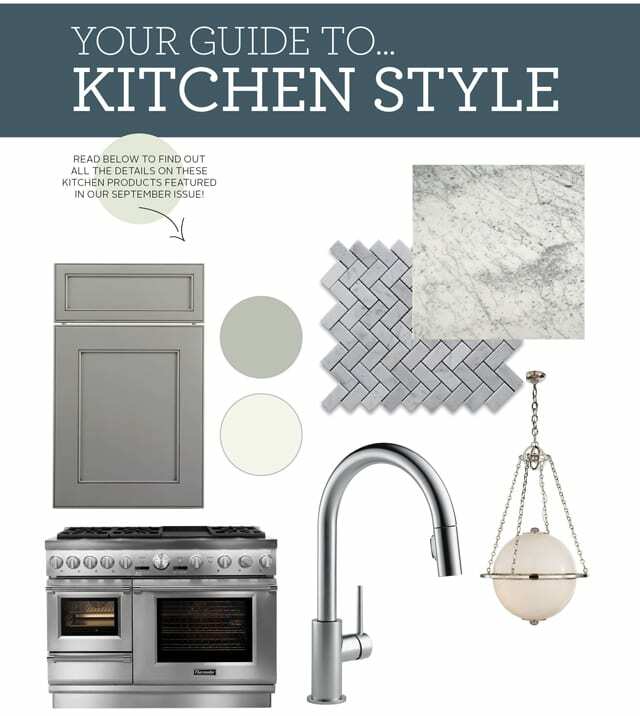 Our new September Kitchen and Bath issue is out (yay!) 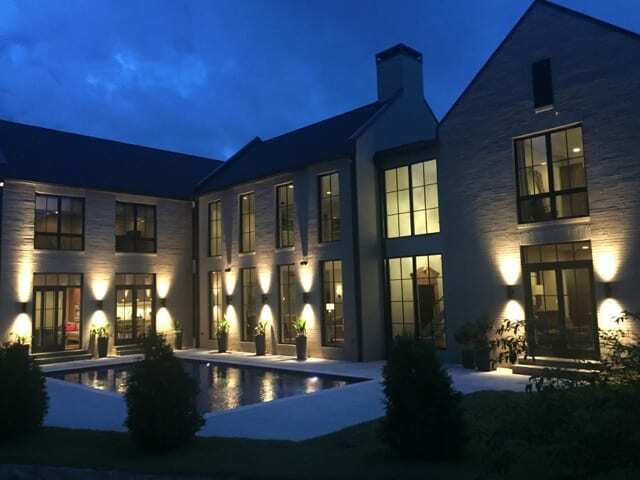 and it’s full of design ideas for you as you update your existing home, build a new home, or tackle a major remodel in these treasured spaces. Here are a few hot items to add a little style to your home that are shown in the new issue (page 67! ), and we’re giving you all the details on these items, right here on the blog. So, what do you think? Are you loving this look as much as we do? Let us know! If you see something you love, we suggest visiting your local kitchen and bath showroom with this info for their expert help on getting just what you want. You can find more of our design round ups from this issue here or here. There are a lot more kitchen and bath items to swoon over and add to your wish list. Pick up a copy of our new September issue on newsstands now! 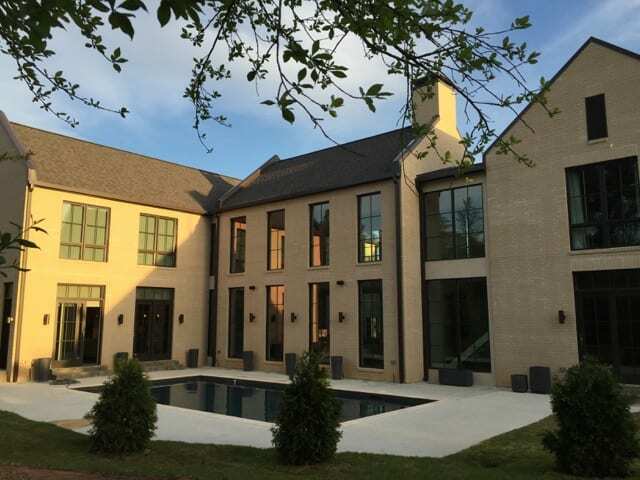 In our May “Before & After” issue, we featured the Little Rock home designer Miguel Newberg shares with her two young daughters and her husband, Andy. As someone who works in the field and who was undertaking a full-home renovation of her own, Miguel knew how important it was to give each family member a dedicated space of his or her own. 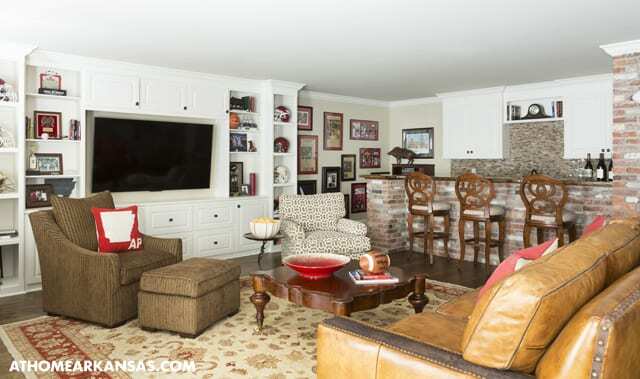 Inspired by his love of the Razorbacks, Miguel created a sports-themed man cave as a retreat for Andy to enjoy. To create the space, they enclosed the home’s carport. 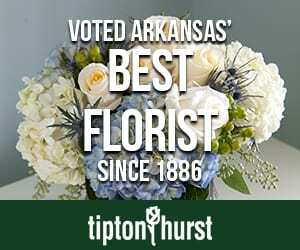 Built-in cabinetry surrounds the room’s main attraction—a television for watching Hog games—while plush furnishings create a comfortable environment. 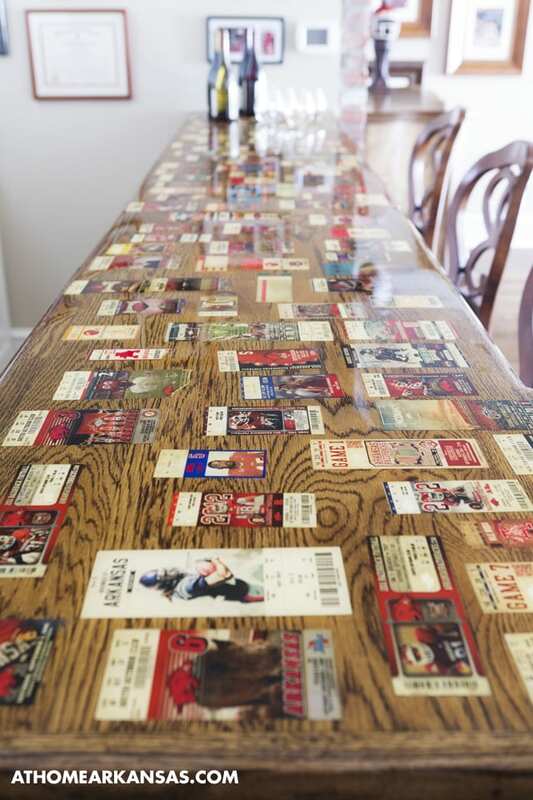 The surface of the brick bar is covered with souvenir ticket stubs from some of the most memorable events Andy has attended. “We kind of came up with the idea together, but he still couldn’t believe I went for it,” she recalls. Easily accessible to the kitchen and the main living room, the space is a now masculine getaway for the man of the house without being too far away from day-to-day activities. 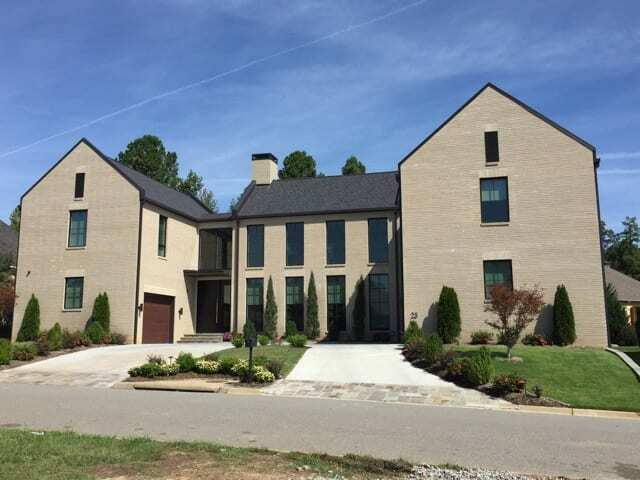 See a full tour of the Newberg’s remodeled home >> online here. Easter is almost here! We put our own spin on the Easter tradition of dyeing eggs this year and used natural ingredients right from the test kitchen. Rather than store-bought kits, you can use kitchen staples like blueberries, cranberry juice, purple cabbage, and yellow onion—to name a few—to create a colorful dye. We started with a batch of hard-boiled eggs and then made different mixtures in glass bowls. You can use larger mason jars too if you’d like. You can mix any of the ingredients above with a water and vinegar mixture (1 tbsp of vinegar per each cup of water) and let them soak to start experimenting in your own kitchen. The longer they soak, the darker the eggs will become. A general rule of thumb is to use 1 cup of a vegetable or fruit per 1 cup of water. Or 2 tablespoons of a spice (like Tumeric) per cup of water. And 1 bag of tea per cup of water. Simmer for 15 to 30 minutes, covered. Soak for the desired amount of time to reach the color you want. After doing the steps above using cayenne pepper, tumeric, coffee, red cabbage, blueberries, we had ourselves a beautiful bowl of naturally dyed eggs! Aren’t they to dye for? So, are you ready to start dyeing eggs? Let us know what you use from your own kitchen. 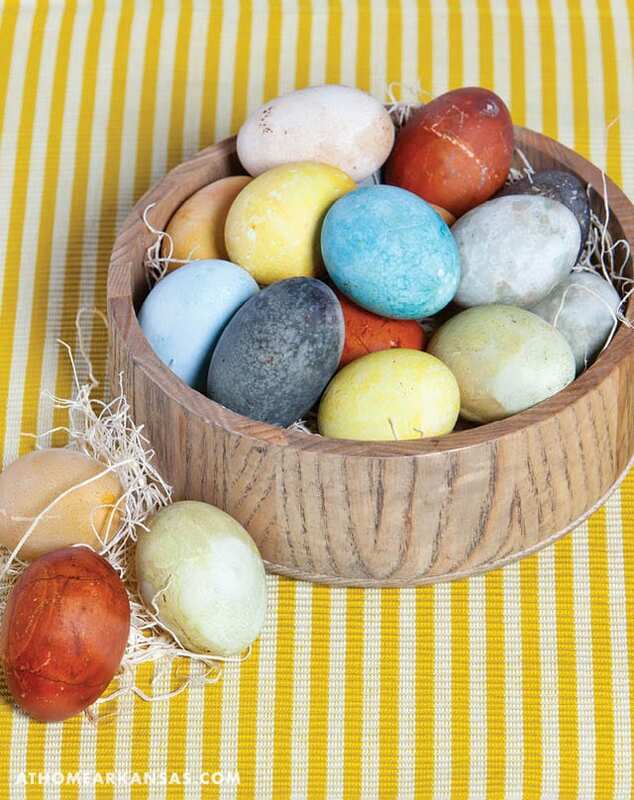 Share your naturally dyed eggs on instagram with us using the hashtag #AtHomeEasterEggs. 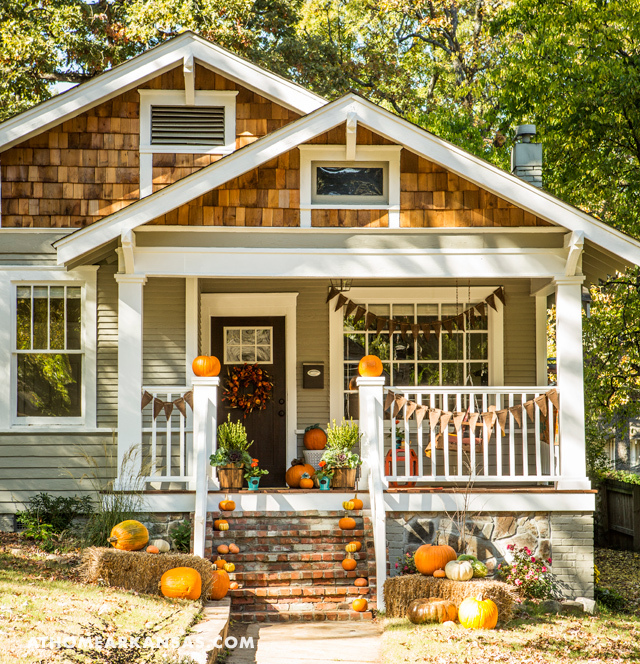 Today, Kathryn J. LeMaster is giving us step-by-step instructions for recreating two of the handmade elements that made her fall porch design so cheerful, warm & eclectic. 1. Depending on how long you need to banners to be, get several yards of burlap (color of your choice) at local craft or fabric store and a spool of twine. 2. Trace out your first triangle on the burlap with a piece of chalk. You can adjust size here too, but mine were about 6-8″ wide across the top to leave room for the holes and about 10-12″ long. So it looks sort of like a “skinny” triangle. 3. Cut out your first triangle, then use this one as the pattern for the rest of them. Continue cutting out triangles. The amount will vary depending on the length of your banner, but I used about 30-40 total. To ge tthe most out of your fabric, invert the triangles right side up and upside down, side by side, to avoid dead space or wasted material. 4. With your stack of burlap triangles now, take the first one and inset about 1/2″-1″ from the top and sides, cut a small hole with scissors and finish “burning” through with a hot glue gun to singe edges, finishing off the edges of the hole with a small ring of hot glue to keep edges from fraying. Do this to all triangles. 5. Take the spool of twine and your first triangle, and thread through the first hole from the back, across the front of the triangle and back through the second hole. 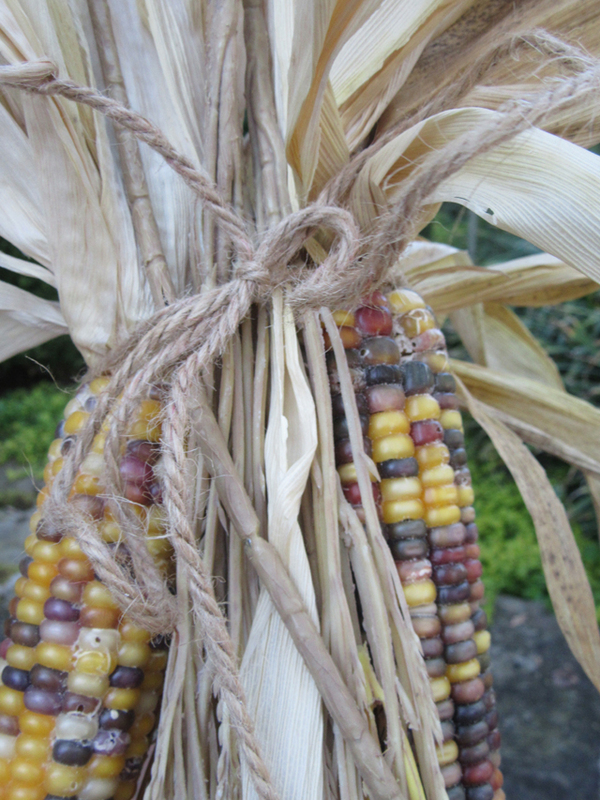 Slide it down the twine to the desired length, leaving about an extra foot of twine at the end for adjusting. Continue threading each triangle through the same way and sliding down the twine so they are side by side, about an inch apart. Continue adding triangles until A. they’re all gone or B. you’ve reached the desired length! 6. 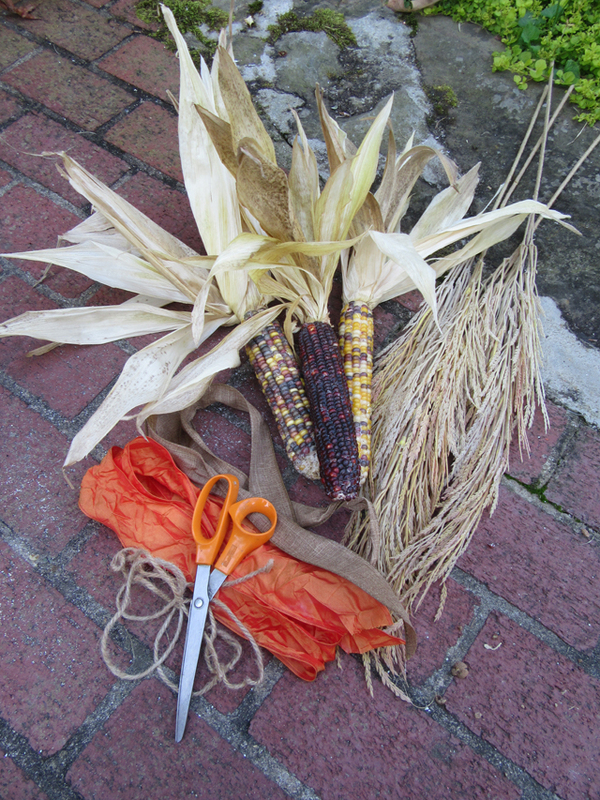 Leave another extra foot of twine at the other end before cutting from the spool. Mount as desired with small tacks or tape, depending on application. 7. Voila! Enjoy your handmade burlap banner! 1. 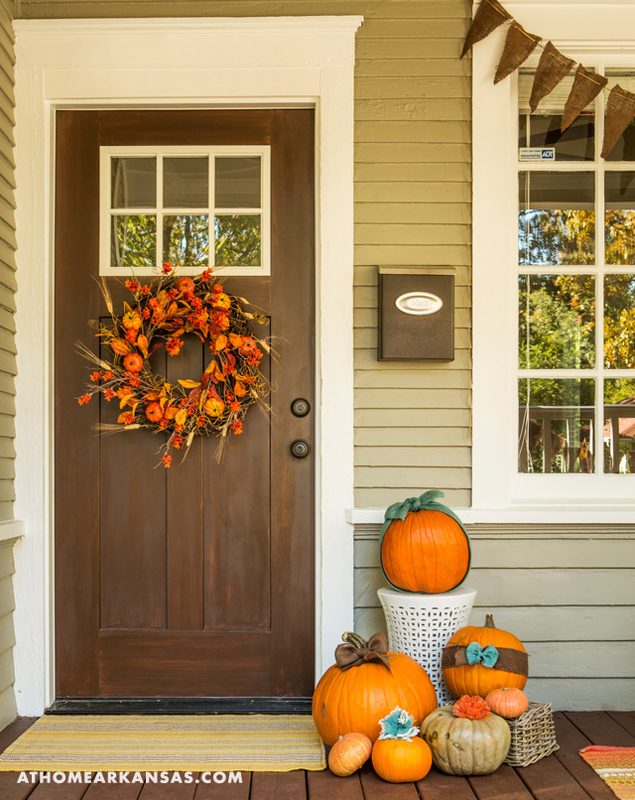 Get a basic grapevine wreath at local craft store as your base to make the wreath bigger. 2. 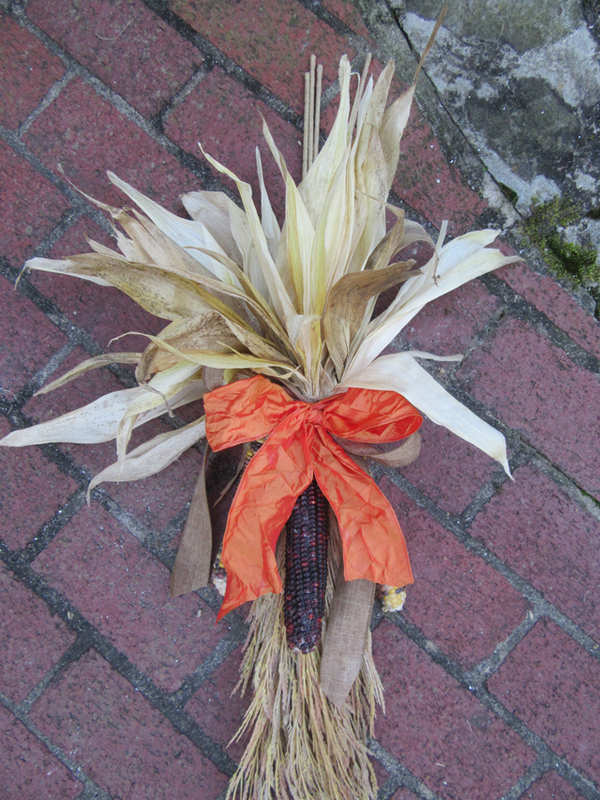 Get a smaller, ready-made faux floral wreath to add some color and fullness. 4. Add your own variety of fresh or faux stems, leaves, or blossoms to give it a more realistic and handmade look! 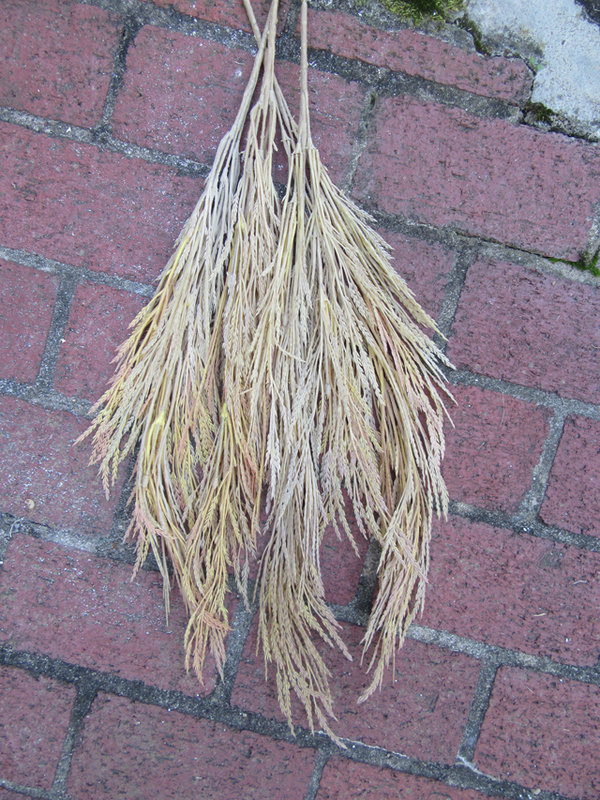 I used a variety of dried fresh floral stems, such as wheat and other leafy stems and colorful dried flowers. Stick the sprigs in all the way around as desired to mix in with the faux florals and create a more “live” wreath look. Learn more about Kathryn and view her work at kathrynjlemaster.com. 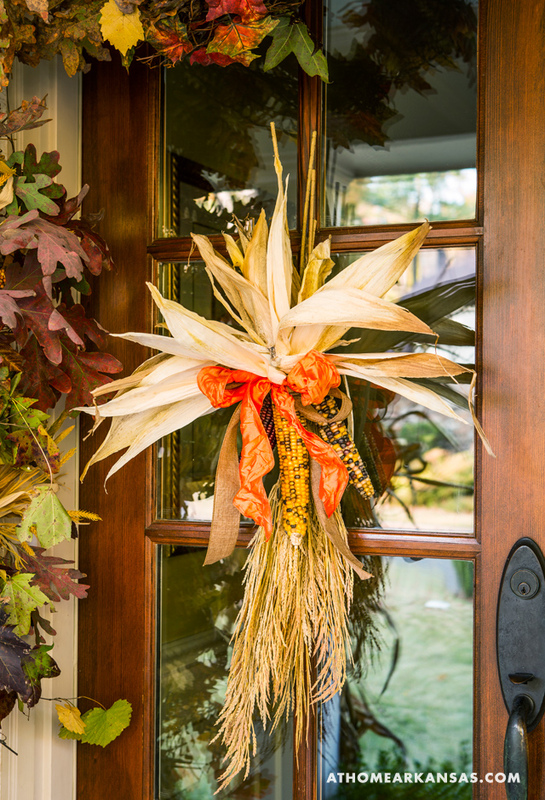 See more images of Kathryn J. LeMaster’s front porch decor in the October issue, HERE. 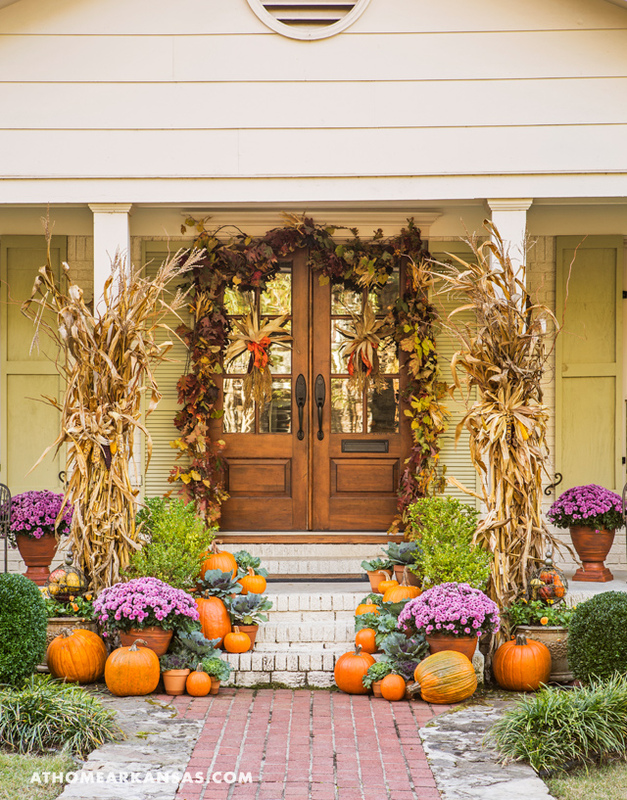 And find more fall porch DIYs HERE, HERE, and HERE. Cut the pork shoulder into 3-4 equal pieces. Place the pork meat in a 4-6 quart pot with the onion, garlic, brown sugar, salt, and pepper. Fill the pot with 6 cups chicken broth. Cover and bring to a boil over medium-high heat. Reduce heat to low and let simmer until the meat is completely cooked and very tender (about 1-2 hours). Let the cooked pork cool before shredding it. Reserve the pork broth for making the tamale dough. While the meat is cooking, simmer the dried ancho and guajillo chilies in 2 cups of water for 10 min. Let cool slightly. Puree the chilies (drained, discard water), 2 cloves of garlic, chili powder, cinnamon, and ground cumin with 2 cups of pork broth until smooth, (be very careful pureeing hot liquids as the top of the blender will have a tendency to pop off and make a mess or worse!). Pour the chili puree over the shredded pork and mix until well combined. Season with more salt and pepper, if necessary. Cover and refrigerate until ready to use. 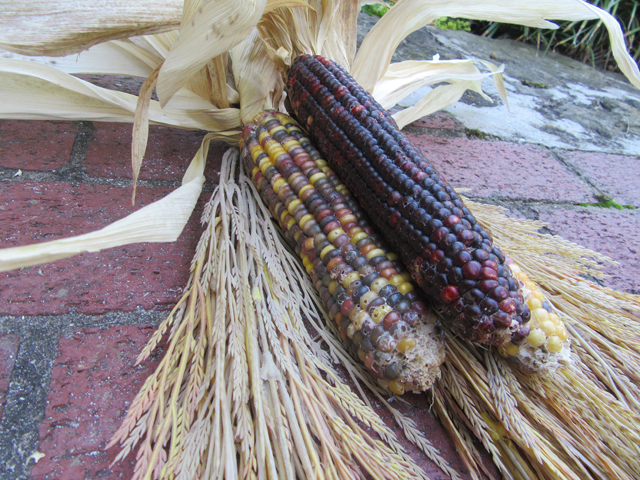 In a large bowl, cover the corn husks with boiling water. 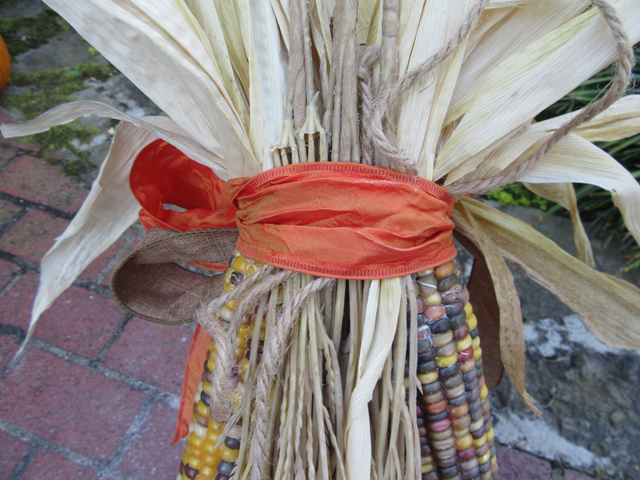 Cover and let set for about an hour or until the corn husks are soft and pliable. 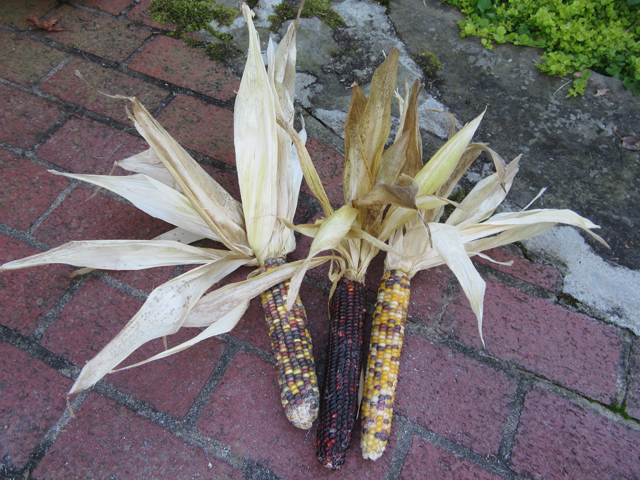 Rinse the corn husks with cold water to remove any dirt and residue. 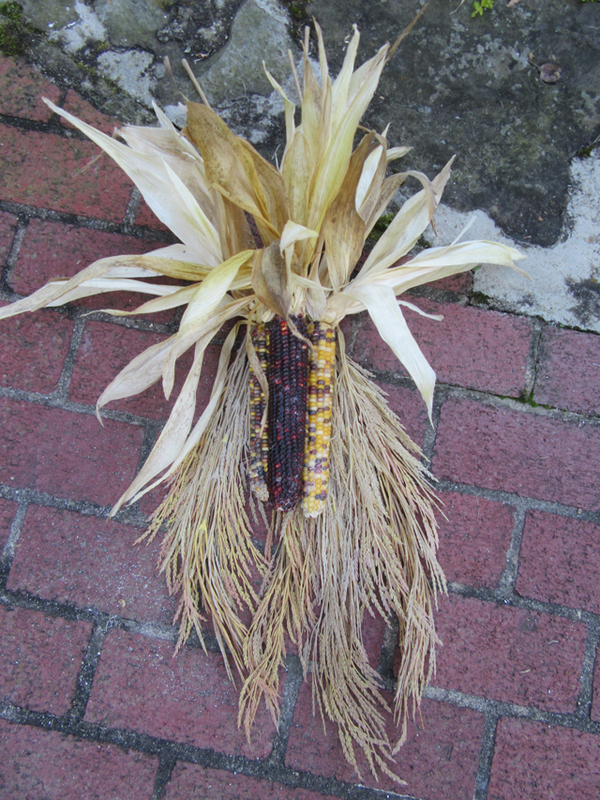 Pat the corn husks with a kitchen towel until completely dry. Masa doesn’t stick to wet corn husks. In a medium bowl, combine the masa harina, baking powder, and salt. In a large mixing bowl, cream the lard with an electric mixer on medium-high speed until light and fluffy. With your electric mixer still on medium-high, beat in the masa harina, one cup at a time until no dry bits of masa harina are visible (Mixture will be grainy). 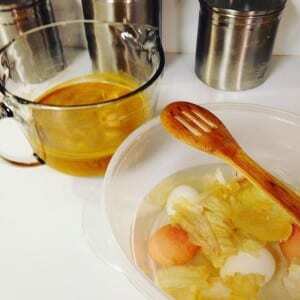 Reduce the electric mixer speed to low and stir in 3 cups of very warm pork or chicken broth until it has all been absorbed. Using your hands, press the mixture together to form a dough. Now let’s make some tamales! 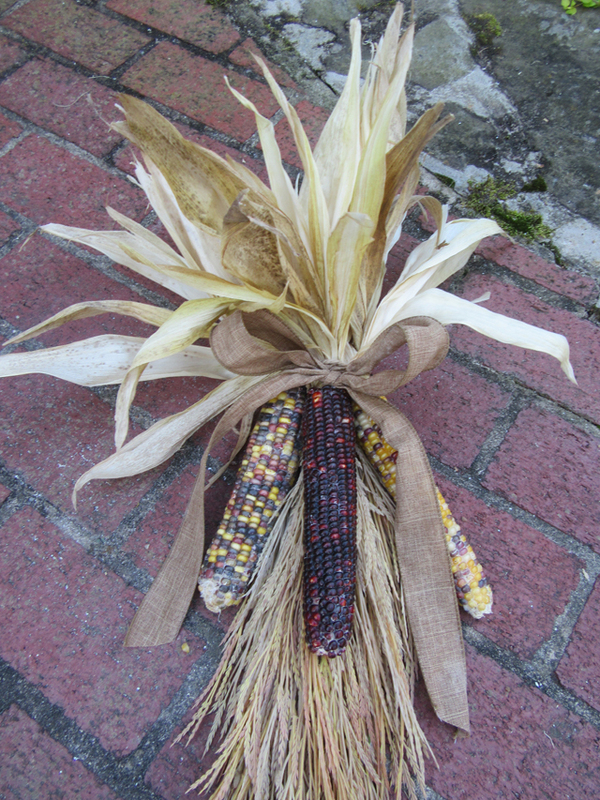 Spoon about 1/4 cup of dough onto each corn husk. You could spread the masa with a spoon, but I think it’s much easier to flatten it with your fingertips. A good rule of thumb is to flatten the masa to about a 1/4-inch thickness across two-thirds of the corn husk, leaving a 1/4-inch space on one side and the top, and about a 3-inch space at the bottom. Spoon a couple tablespoons of the meat filling down the center of the masa. Starting at the 1/4-inch edge, gently fold your tamale in thirds, then tuck in the ends. This is the easiest way to wrap tamales. The process will get easier with each tamale you make. Practice makes perfect! Place the tamales seam-side down on a large plate, until you’ve finished with all of the tamales. Fill the bottom of an 8 to 10-quart tamale steamer (or large vegetable steamer) just to the bottom of the ridge where the steamer insert rests. Place the insert inside the tamale steamer and arrange the tamales loosely so the steam can circulate. Cover and cook over high heat for 10 minutes. Reduce heat to low and continue to simmer for 45 minutes to an hour. Great with red chili sauce, beef chili, cheese dip, hot sauce, and/or salsa. If you’re looking forward to the grand opening of Heights Taco & Tamale Company half as much as we are, then you’ll love to try out these recipes from our menu preview entertaining story. Read the entire article and see more photos at the September article, “Prep School.” For today, we’re bringing you the recipes for the HT&TCo. Arkansas Heirloom Tomato Pico de Gallo and a Paloma cocktail made with Stiegl Radler. Next week, in Part 2, we’ll be sharing the recepie for pulled-pork tamales. Yum! Enjoy. Mix all ingredients very carefully so as not to release the seeds from the tomatoes. To learn more about the new Heights restaurant, to see more images from this exciting menu preview meal, and to read our interview with Executive Chef Scott McGehee, click here. Next week: PULLED-PORK TAMALES! In our August issue, we featured the home of interior designer Amber Doggett. Her rustic, French Country style incorporates lots of furnishings and accent pieces that have a gracefully weathered and aged look about them. When it came to the walls, cabinetry, and other surfaces in her newly constructed home, she wanted to create the same historical atmosphere. So, she called on Tracy Rivers of Angelfish Studio to help her achieve a deep patina throughout the house. Rivers did an especially masterful job of this in the kitchen, and we wanted to give you an up-close look at the cabinetry details. See? Old is the new New! To tour the rest of the home, click here. And to learn more about Tracy Rivers, of Angelfish Studio, and her stunning decorative paint and faux finishing work, click here.